Kazakhstan is striving to enter the world stage with home-grown IT innovations. In just the past month, a messaging service, a learning support application for the Kazakh language, and a famous translation service have been unveiled. Previous attempts to spark technological hubs within the country have been less than successful (the slow start of the Alatau Technopark near Almaty is a powerful example), so this year, the government decided to work more on the “pop” side of technology. Similar to WhatsApp, Messenger, and Viber (all widely used in Kazakhstan), iTys is the new messaging tool for Kazakhstani citizens. The initial success is clear: iTys, a play on words that is pronounced “aitys,” after the traditional improvisation singing contest, was downloaded more that 50,000 times in the Android Play Store, and will soon be available for Apple products as well. The app is supposed to work in three languages, although only Kazakh and Russian are available as options. A single graphic choice for the emoticons shows the drive towards traditional values. Strikingly, the main page of the promotional website for the app features a peculiar slogan “one language, one history,” divisive in a country where not everyone is fluent in the two state languages. Soyle, literally “speak,” is a language-learning application and website, designed to work from Russian into Kazakh and vice versa. The user will have fun trying to comprehend the English descriptions, which seem to be translated either by a machine or by an amateur. Only a few hundred mobile users have so far downloaded the app, unveiled this week, and there is little to suggest that Soyle will have a huge impact on the general public. 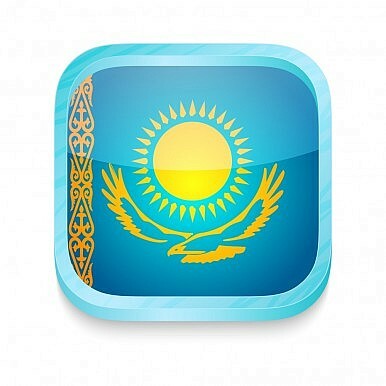 Raising the profile of the Kazakh language, however, remains a priority for the government, and apps seem to be a “cool” way to promote this policy. Sovereign wealth fund Samruk-Kazyna, the Foundation of the First President, the Kazakh Foundation, and Samsung are among the backers of the project. GoogleTranslate has recently unveiled the availability of its service of instant translation from and into the Kazakh language. The novelty was unveiled on December 11, when Kazakh, Tajik, and Uzbek were simultaneously added to Google’s database. While the California-based internet giant constantly refines the algorithms to improve its translations, Google Translate relied on several Kazakh speakers to build the backbone of the code. It is striking that Kyrgyz was not included in this group of Turkic sisters that just became available. Kyrgyzstan’s renowned friendliness and openness towards the West and the U.S. in particular should make the Kyrgyz language a strong candidate for Google’s translation engine. The great leap forward by Kazakhstan in the app and Google world is positive with regards to the availability of information and the accessibility of technical tools. However, a different reading could suggest that Kazakhstan is trying to consolidate its control on the language, on both the form and content of the message. The push to spread Kazakh-awareness is a double-edged sword: It consolidates the identity of ethnic Kazakhs, while it marginalizes Russian-speakers, especially the older generations.